Approaching the main entrance gate to Yasaka-ji. 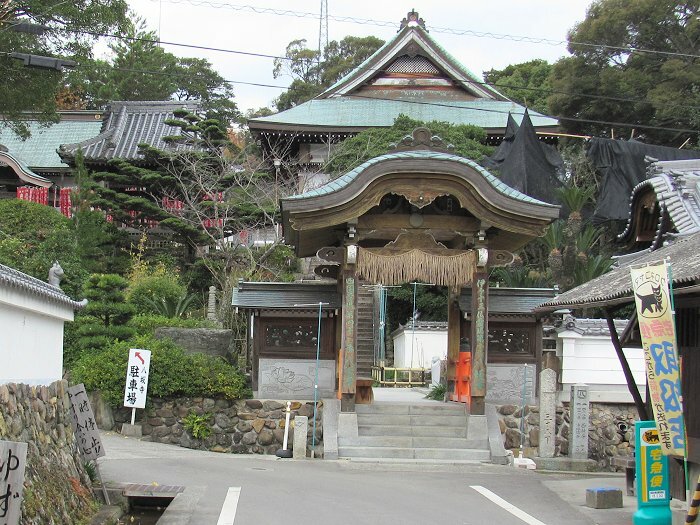 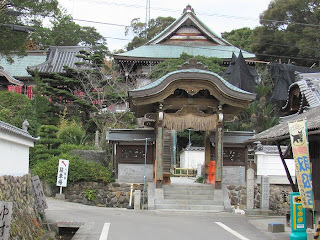 This temple dates to the beginning of the 8th century when it was built by the Lord of Iyo. 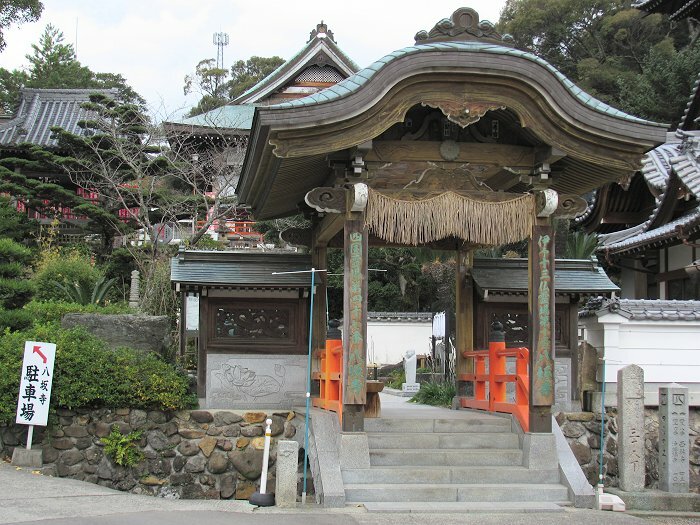 A closer view of the entrance gate. Yasaka-ji means "Eight Slope Temple" because it is said that eight paths once led to it. The underside of the entrance gate is covered with a colorful painting! 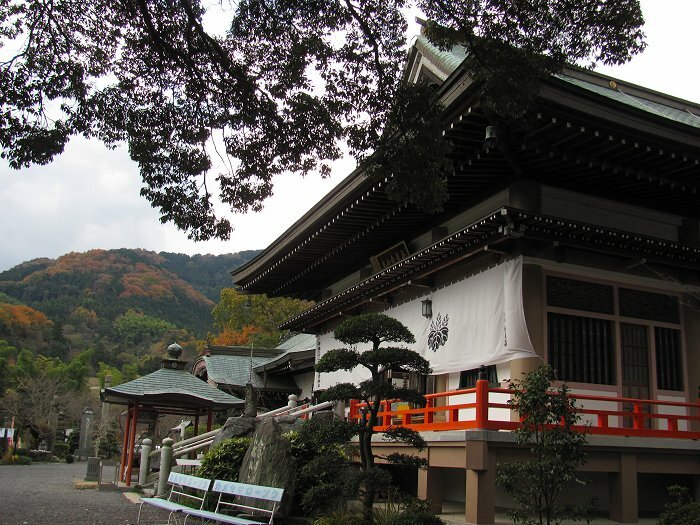 The main temple building at Yasakaji. Wash basin at Yasaka-ji with an elaborate dragon-shaped spigot. 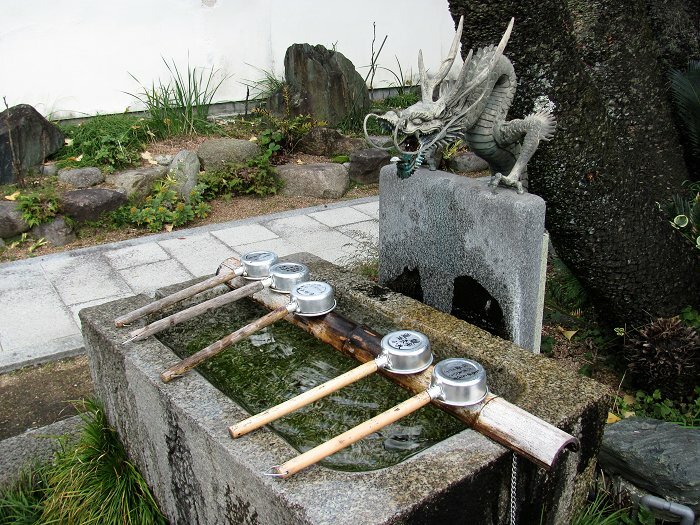 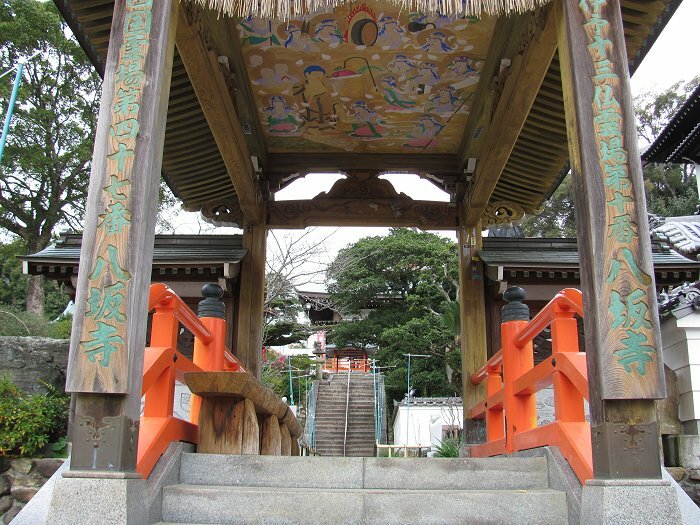 The basin is used for ritual purification (hands and mouth) before entering the temple grounds.